Psychic readings in atlanta and worldwide are available seven days a week by appointment. 404-954-0185. Call now for your psychic consultation. Best Atlanta Psychic Reader. Psychic Readings, Tarot Card Readings and Psychic Crystal Energy Readings are offered. All psychic readings are satisfaction guaranteed! Call now to speak with Atlanta's favortie psychic reader. Do you need guidance in your life? Is there something that has been worrying you or bothering you? Do you need answers and clarity about situations in your life? Then call now to speak directly with Atlanta's best psychic reader and love specialist. She will guide you all the way! 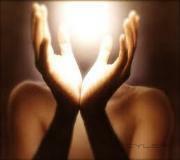 Psychic Amanda is a powerful, accurate and experienced psychic professional. She has helped thousands of clients with her psychic abilities. Sometimes life can get confusing and we need help to see our way. Having a psychic reading can be a wonderful relief to those who wish to gain spiritual insight into their past, present and future. Several readings are offered both in our professional office space in Sandy Springs, Ga or by phone: psychic readings, tarot card readings, crystal energy readings and the newest, the angel reading. Same day appointments are available. When you have clairty, you can get on a path of peace, happiness and emotional wellness. The Universe wants us to live abundantly and that is impossible to do when you feel the burden of many of life's pains. Psychic Amanda can give you insight into your current situations and provide you guidance, step by step. Psychic Amanda is Atlanta's favorite and most accurate psychic reader and advisor. She is available to speak with you today! Call now! Your peace of mind is worth it! Psychic Amanda is the best psychic in atlanta ga and in sandy springs ga. When looking for the best georgia psychic, call now to speak directly with Atlanta's fave! Be the first to write a review for Best Atlanta Psychic and Love Spells!